I painted my first rooftop at Angel Comedy, in London (UK), as a side project from the iconic portraits created on the outside of the venue. 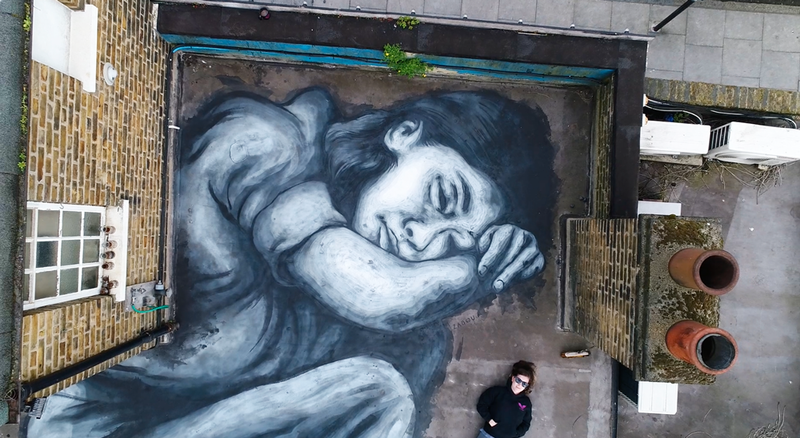 The artwork depicts a woman sleeping and crawled into a ball, not quite fitting into the space. 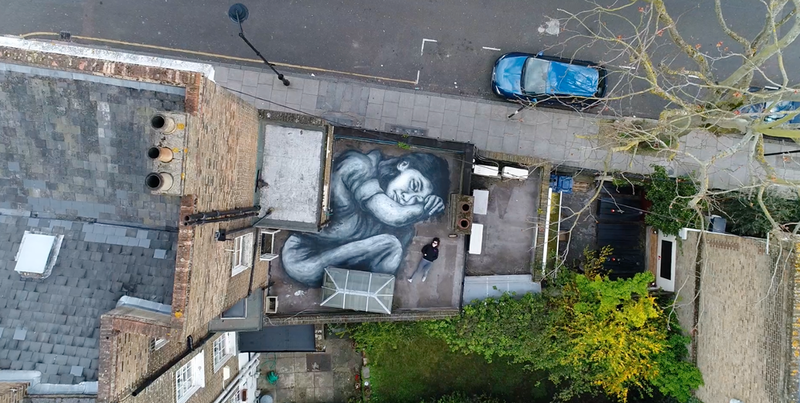 A drone captured the elevation from the rooftop to the sky, where the environment seems to be crushing her.